Choosing the right rollers and brushes before painting can get the job done faster with better results. Here are a few tips to help you get started. Even if you have the best quality paint, using the wrong roller or brush for your project can waste time and money. 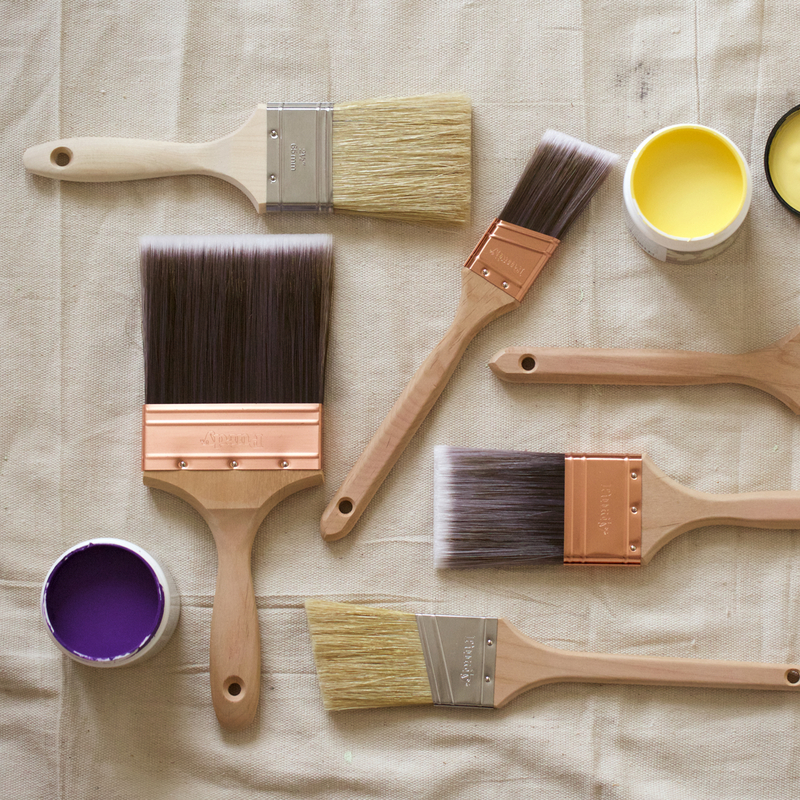 By taking a moment to consider your tools, your paint job is going to get the most payback for your investment. Natural-hair bristles are best used with oil-based paints, stains and varnishes while Synthetic bristles are better with water-based and latex paints. Synthetic bristles hold their shape and maintain stiffness no matter how much water they’re exposed to. 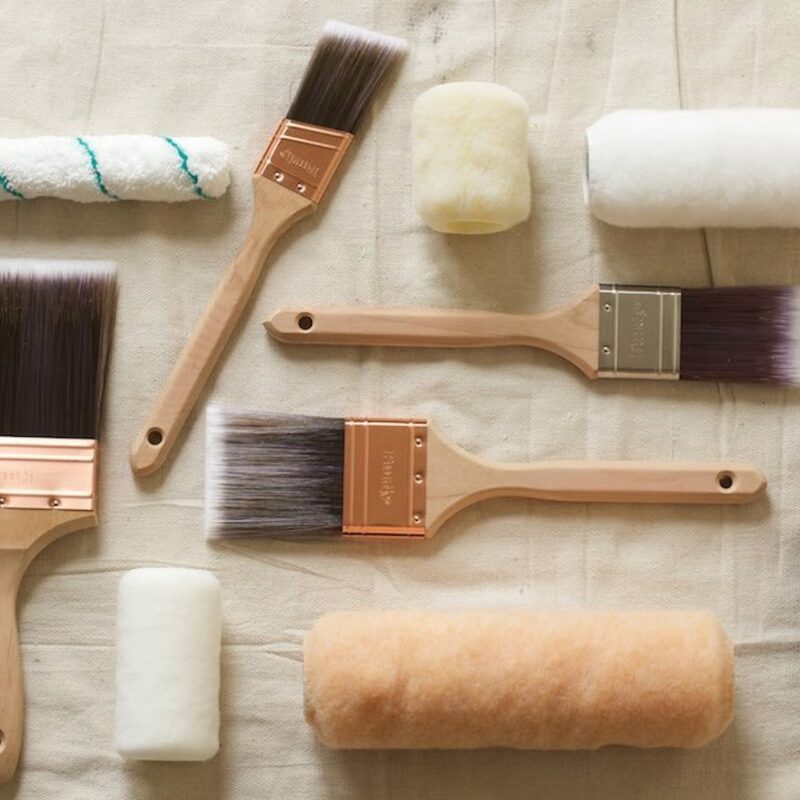 A top quality polyester brush is well worth the initial cost—when cleaned and stored properly, they’ll keep painting smoothly for years to come. Tug on the bristles. If one or two bristles can be pulled out, the brush is probably poorly made. Hold the brush by the handle. Choose a brush that feels comfortable in your hand. Note the type of bristle tips. Flagged bristles, or split ends, hold more paint, while tipped brushes are favored by pros for their precision and control. The best part of using a roller is you can cover a lot more surface area in a lot less time. So, if you’ve got a large, flat area to paint like a wall or ceiling, rollers are a great option. As with brushes, when you’re painting with latex and water-based paints, make sure you use synthetic roller covers. Another important consideration when you’re shopping for rollers is the length of the nap, or the material that makes up the roller cover. Generally speaking, you should paint smooth surfaces with a short nap, and rougher surfaces—like stucco, brick and masonry—with longer nap so those fibers really get the paint into every nook and cranny. That’s going to save you time. Gloss and semi-gloss paints go on better with short-nap rollers because these tend to generate less foam and fewer bubbles when you’re rolling the paint out. Squeeze the roller cover. If the roller cover quickly returns to its original shape that means it’s well made. Choose a plastic “cage.” Cardboard handles and rotating “ribs” tend to fall apart; go for a plastic cage that will stand up to the job and cleaning. Opt for quality covers. 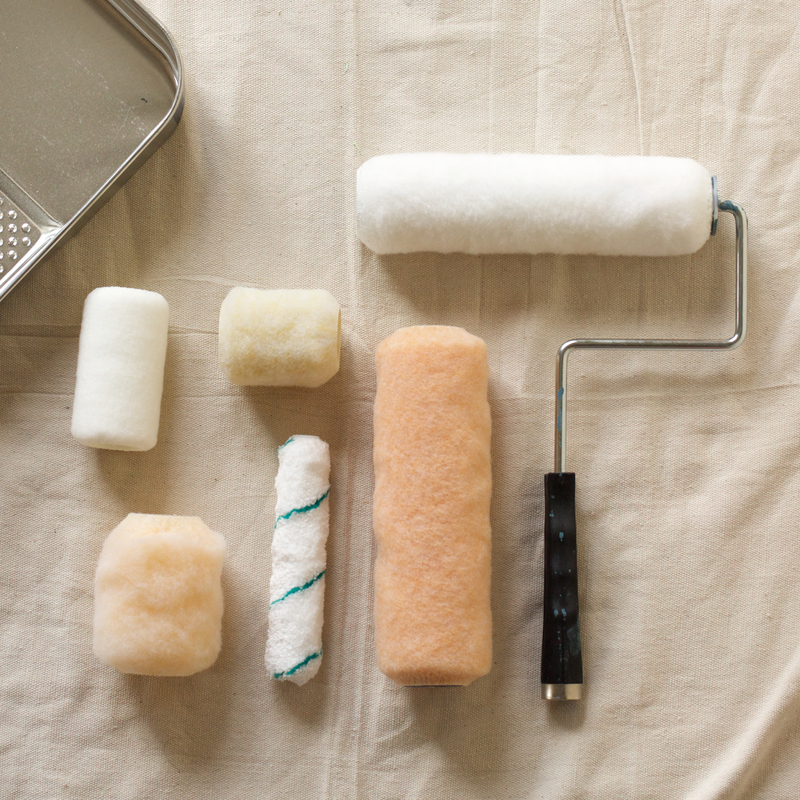 Cheaply made roller covers can leave nap fibers and lint behind on the paint surface. It’s an extra step in your DIY project, but choosing the right tools can get the job done faster with higher-quality coverage and a better finish. The more prep work you put in, the faster the paint job goes. Here are a few tips to get the best results.